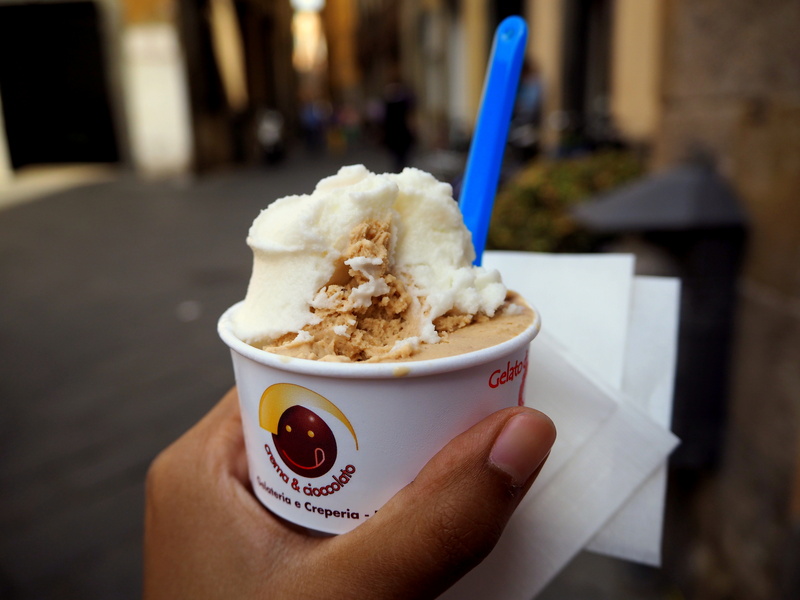 When I was on the Roman Food Tour last year, the general rule was: ‘If it’s fluffy, it’s fake.’ The ice cream tourist traps tend to be the ones where you have bright coloured gelato piled up in a window, to attract as much attention as possible. In actual fact, the best gelato is kept in hidden containers, covered up, and only revealed when it’s placed on your cone. 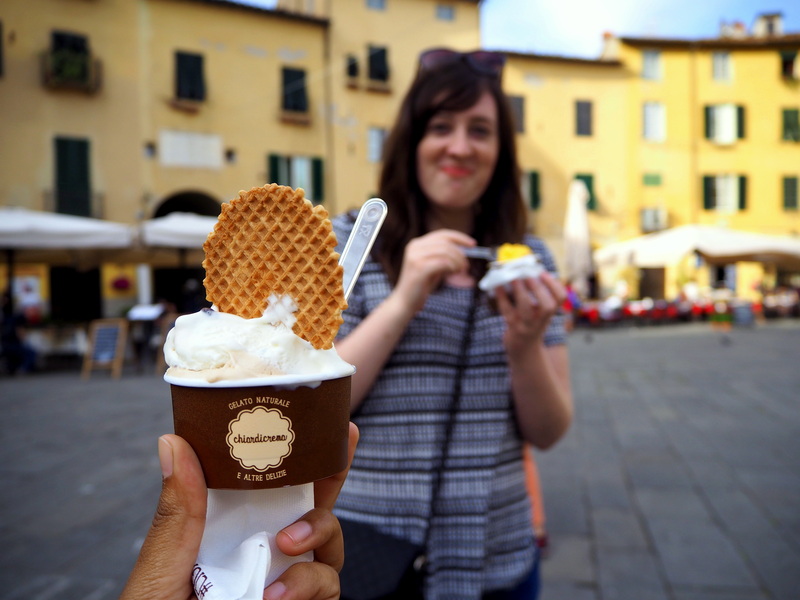 This May, I visited Pisa, Lucca, and Florence (read more about some of the food here), and as in most other Italian cities, gelaterias (or ice cream parlours) were a dime a dozen. There is one on every corner, and each one seems to have more awards than the last. So how are you supposed to choose?! The general rule, by the way, is as follows: if there’s a Grom, go there. Every day. Even twice a day. I first found out about this chain when I was in Milan back in 2010, and it hasn’t failed me since. And they’re in just about every Italian city and town! 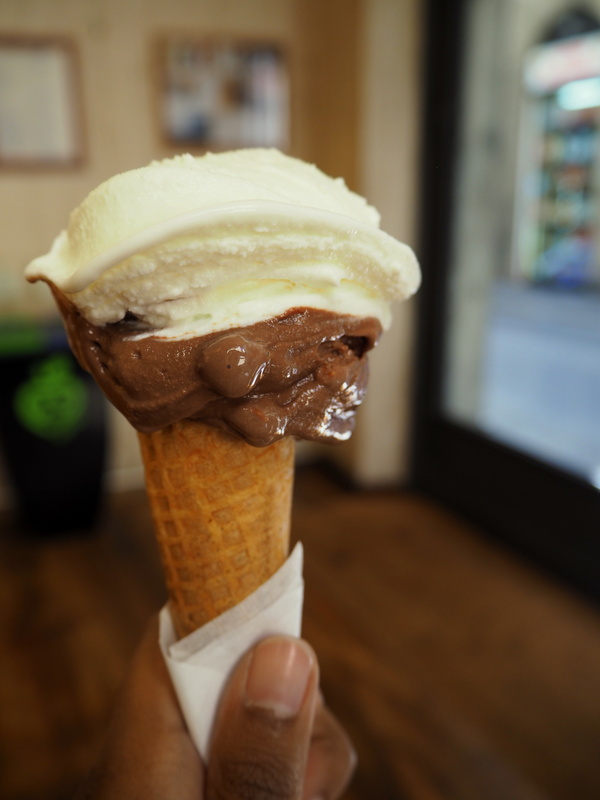 One thing to keep in mind when you’re in Italy is that you should just eat as much gelato as you can. Even though there are some supposedly authentic places in London, you can’t beat having one of these in the Italian sunshine, so why not stock up…? Chiardicrema in Lucca, a big winner on our trip! 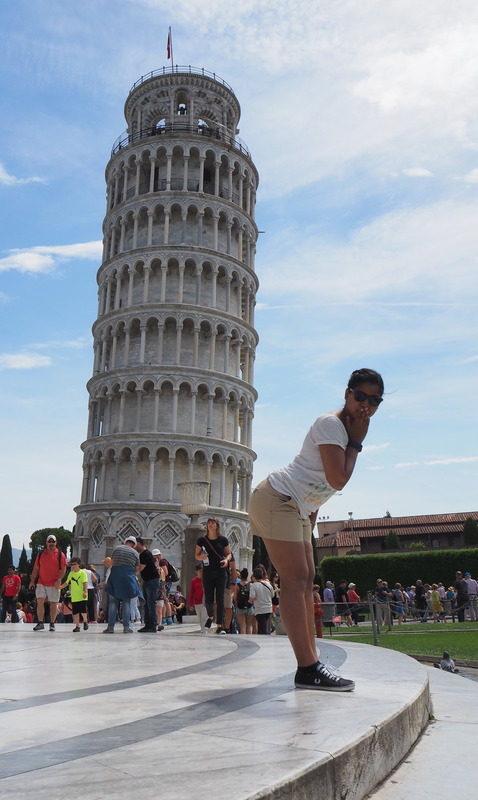 Okay, that leaning tower pic is hilarious! Hahaha thanks, Claire! We were trying to be original….